The Fall are an English post-punk band, formed in 1976 in Prestwich, Greater Manchester. The Fall essentially consists of founder and only constant member Mark E. Smith and an ever changing line up; he has said that "If it’s me and your granny on bongos, then it’s The Fall." First associated with the late 1970s punk movement, the band’s music has evolved through numerous stylistic changes, often concurrently with changes in the group’s line-up. 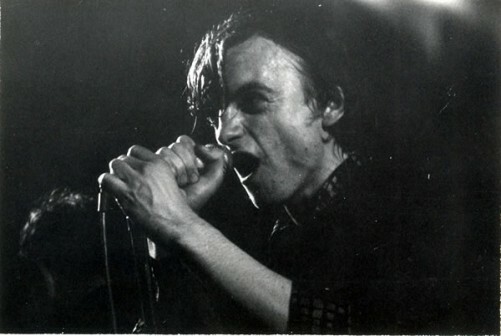 Nonetheless, the Fall’s music is typically characterised by repetition, tense rhythms, and an abrasive guitar-driven sound, and is always underpinned by Smith’s typically cryptic lyrics, described by Simon Reynolds as "a kind of Northern English magic realism that mixed industrial grime wth the unearthly and uncanny, voiced trough a unique, one-note delivery somewhere between amphetamine-spiked rant and alcohol-addled yarn." The Fall have been called "the most prolific band of the British post-punk movement." They have released thirty-one studio albums , and more than three times that number when live albums and compilations (often released against Smith’s wishes) are taken into account. 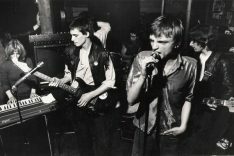 While the Fall have never achieved widespread success beyond minor hit singles in the late 1980s, they have maintained a strong cult following. They were long associated with BBC disc jockey John Peel, who championed them from early on in their career and described them as his favourite band, famously explaining, "they are always different; they are always the same." This article uses material from the Wikipedia article “The Fall (band)”, which is released under the Creative Commons Attribution-Share-Alike License 3.0.